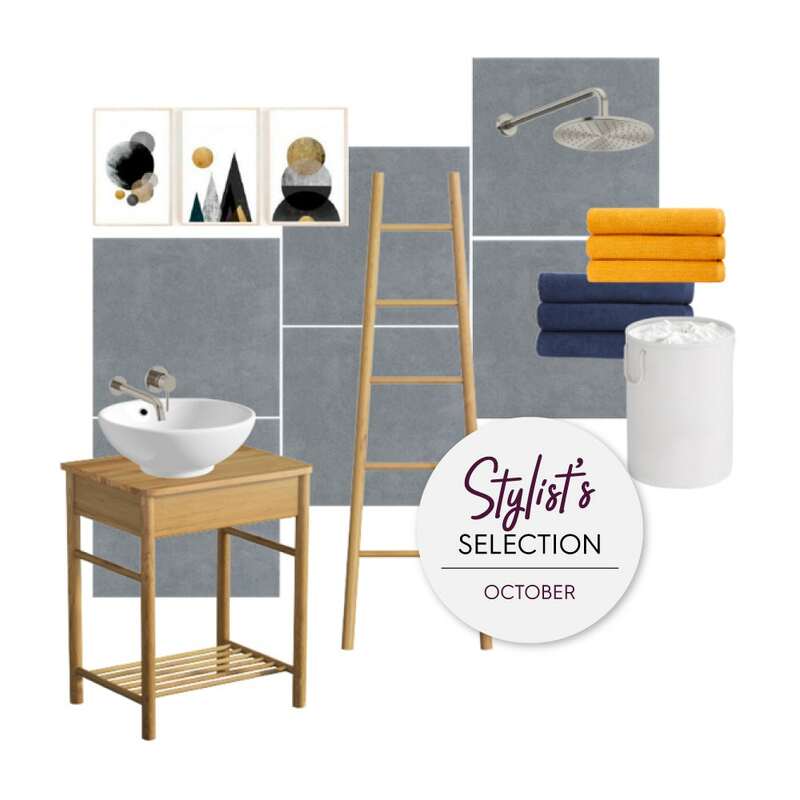 For my Stylist's Selection, this month I've taken inspiration from Scandinavian design and added a touch of "Lagom". "Lagom" is the latest Scandi interior design trend which features minimalistic design and translates as “just enough”. If you appreciate the simple things in life, longevity and a minimalistic edge, then this look is perfect for you. Spice it up with a few creative prints and accent colours and you’re on your way to the perfect bathroom retreat. I’ve selected the Spencer round brushed nickel wall mounted basin tap. The brushed finish adds a softer touch that is both contemporary and on-trend. A matching shower and accessories are also available. 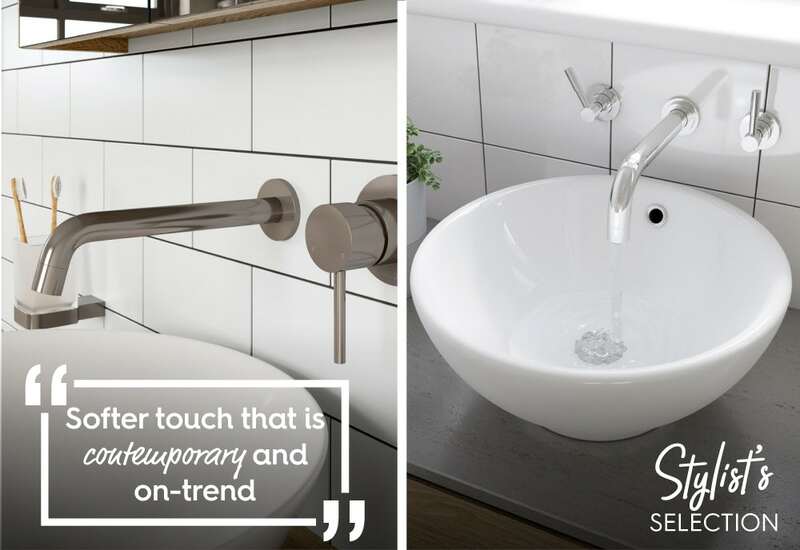 With a simple rounded shape, the taps and shower complement this subtle look. Paired with the Orchard Eden countertop basin, the basin mixer tap creates a cohesive finish. A key theme for Scandinavian design is the use of light-coloured wood. I’ve selected the South Bank washstand and ladder storage because I wanted to include a soft and natural finish. 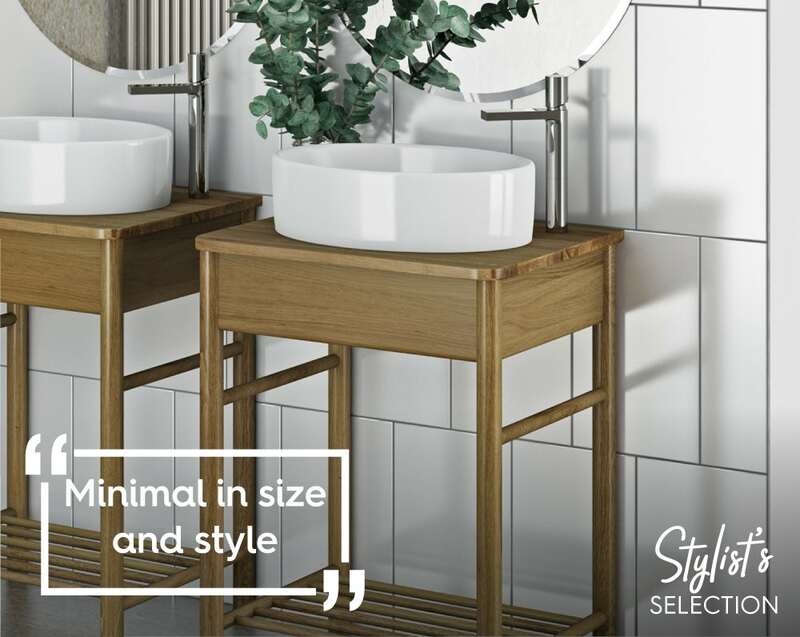 If you desire something simple, that is minimal in style and size, our South Bank furniture range is the perfect choice. Anything looks good against grey and these [Ted Baker tiles] in stone grey are perfect. They complement the colour scheme keeping it simple with muted tones, allowing you to accessorise with either bright colours or more neutral shades. Everyone needs a good set of fluffy towels, ready for those cold winter days. 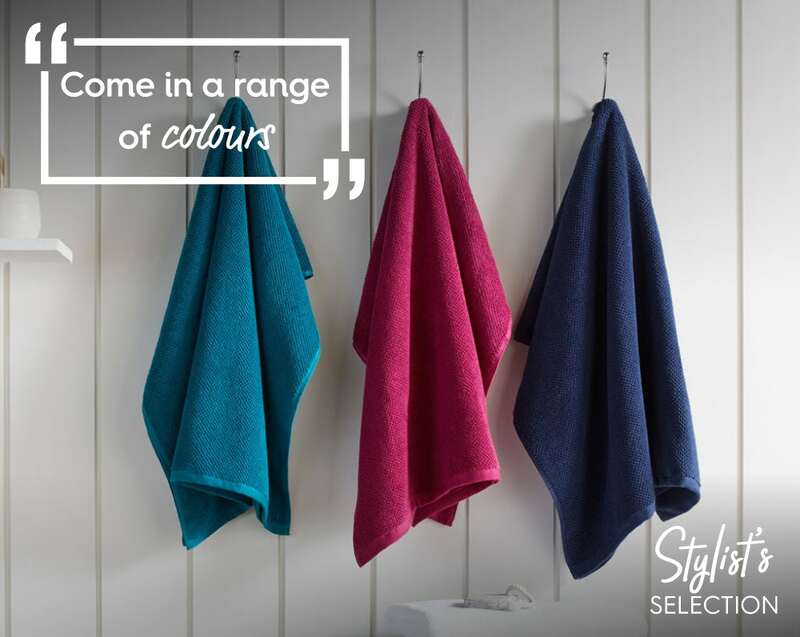 These towels by Christy are perfect and come in a range of colours and sizes. The colours I’ve chosen complement the rest of my selection, adding personality and character. Why not sign up to our email newsletter? 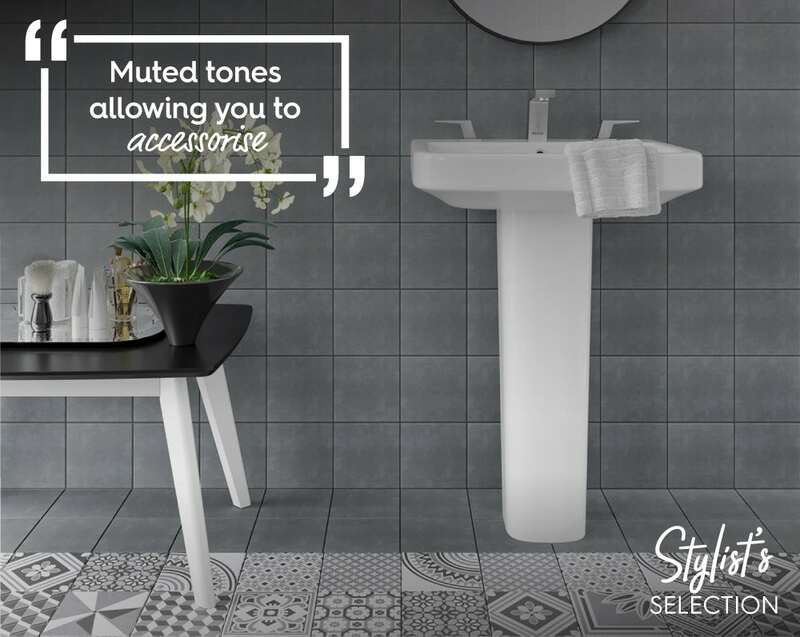 You'll be the first to read about my bathroom style tips and find out about our latest products. Simply leave your email address in the box below. Plus, you'll get £10 off your first order. For browsing at a leisurely pace, why not order our FREE catalogue? It's full of neat bathroom styling tricks and a handy bathroom planning page to help get you started. As we head into those crisp, autumnal days, I've picked out my favourite items which reflect all the lovely autumnal colours, mixing monochrome with on-trend copper. They're extravagant, artistic and most of all, bold! It's not just the weather that's hot this summer! Check out Nicky's top bathroom picks for August 2018.